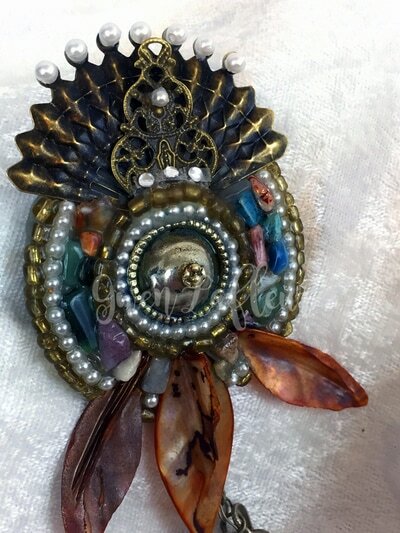 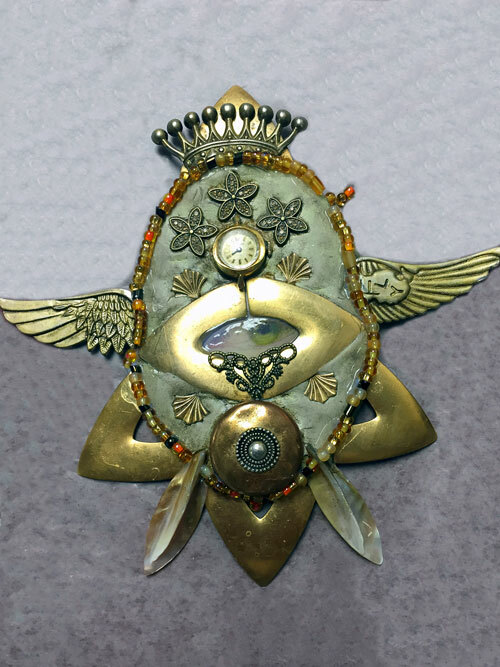 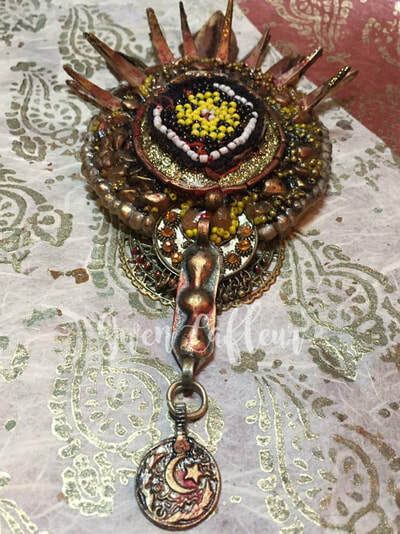 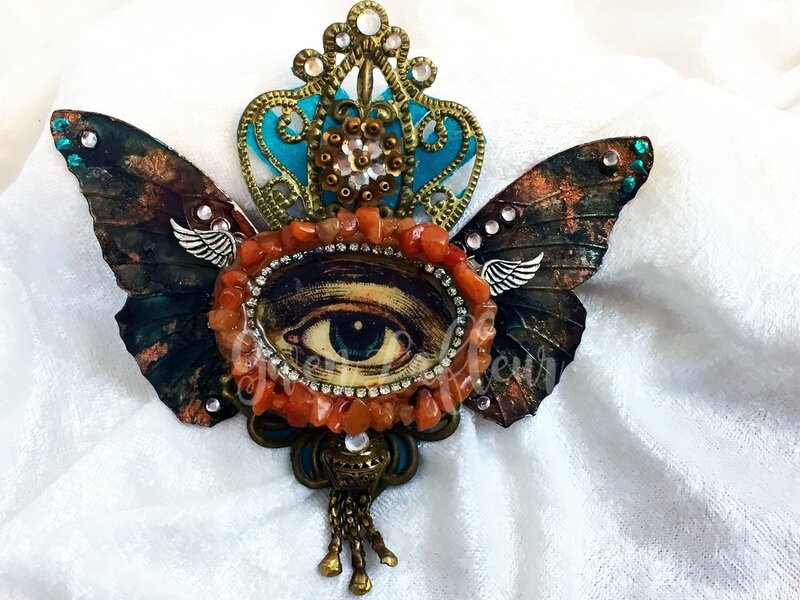 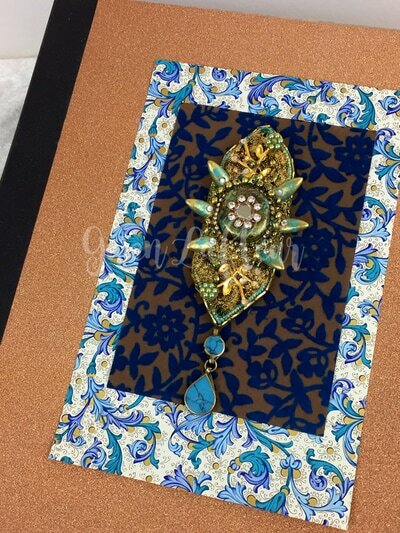 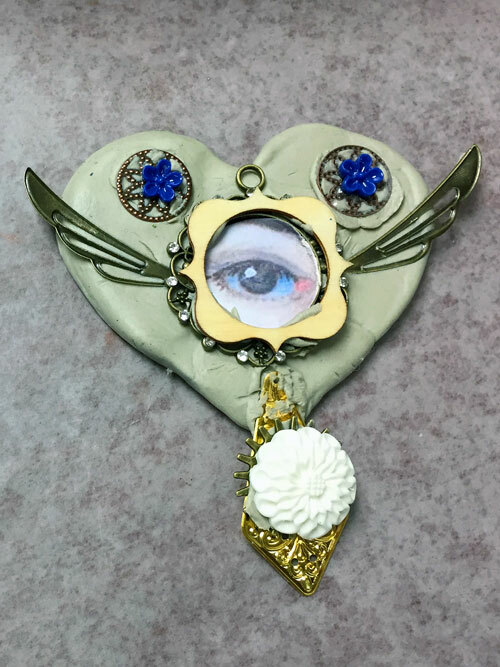 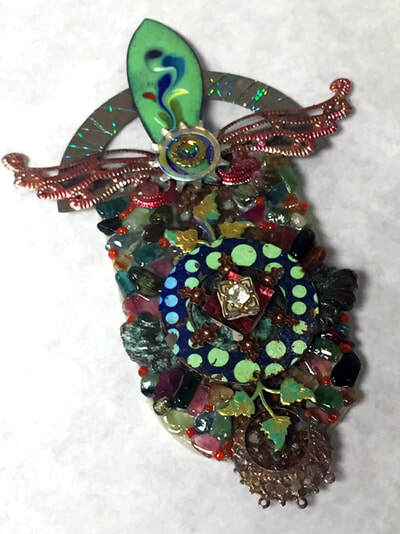 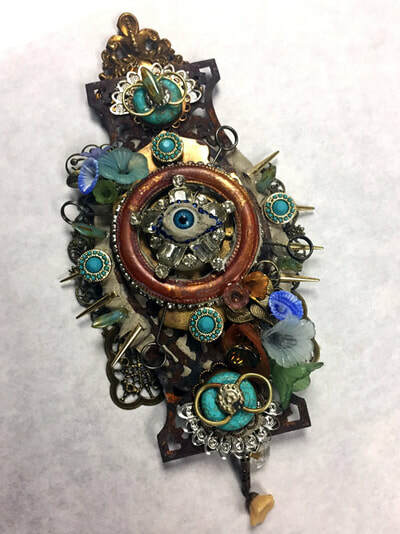 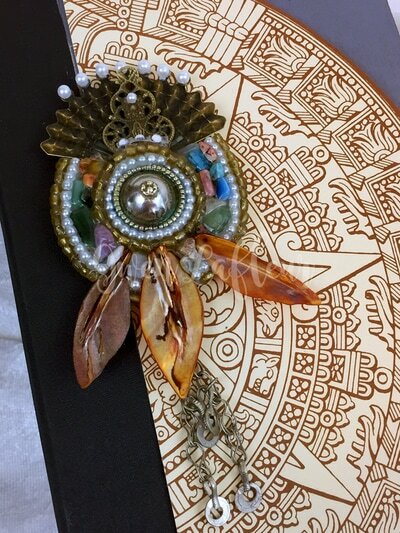 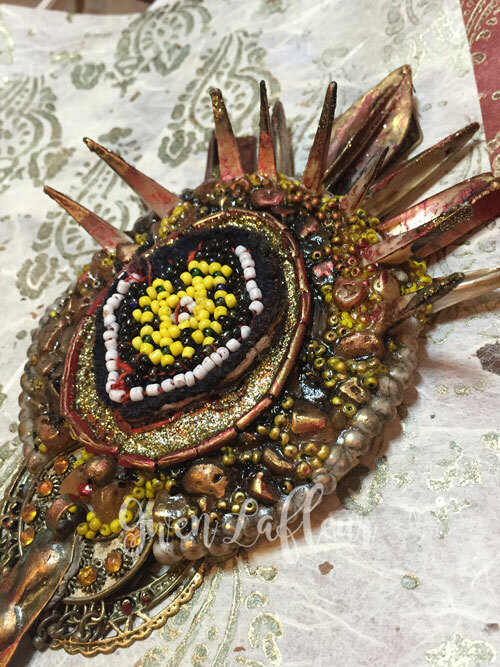 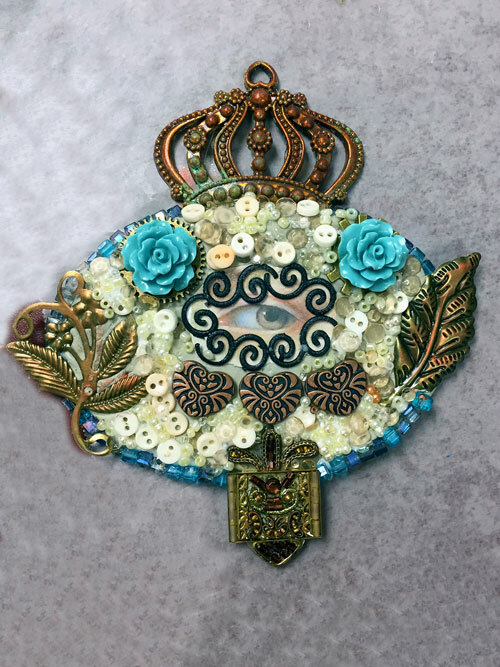 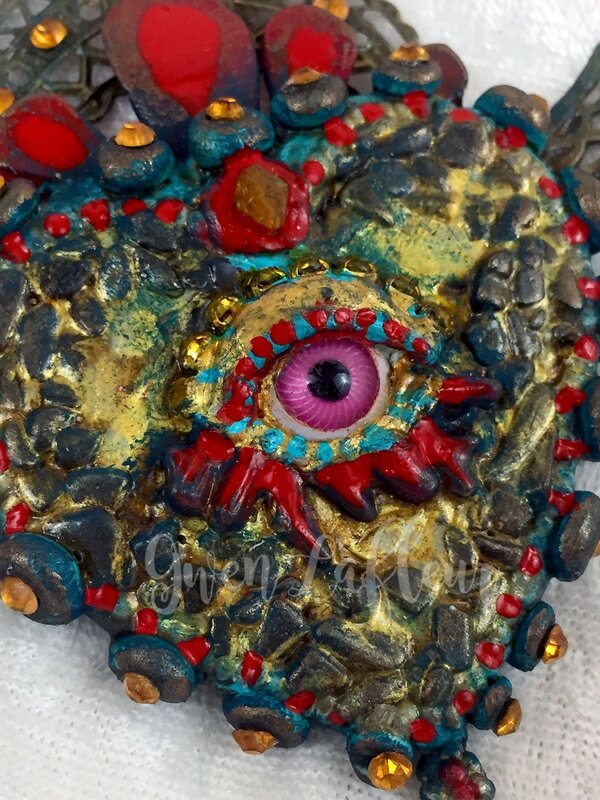 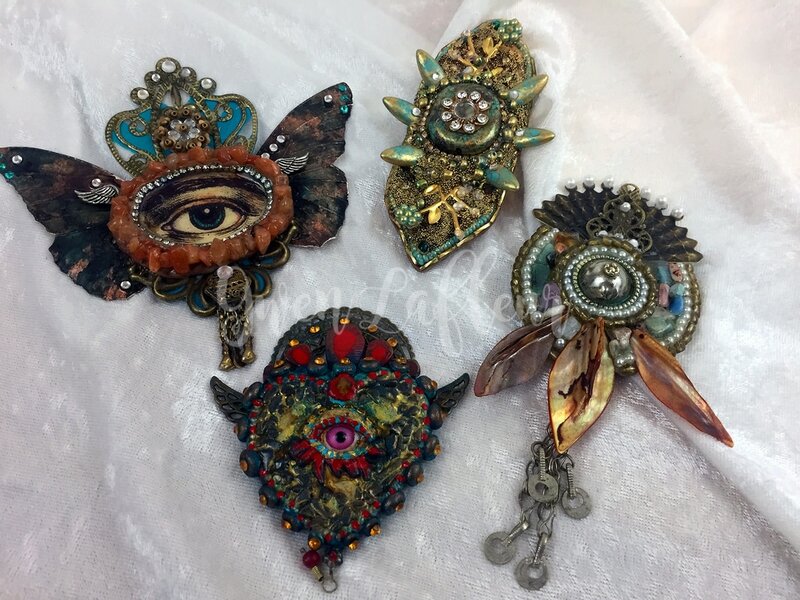 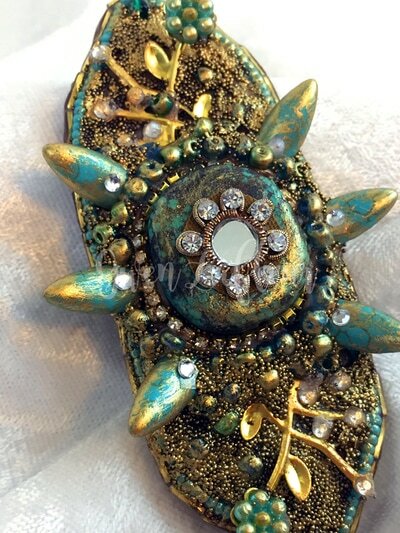 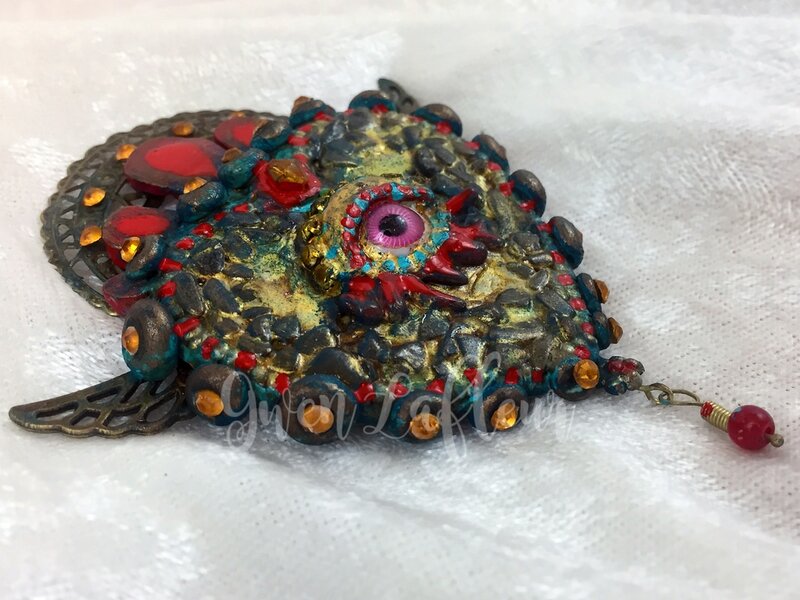 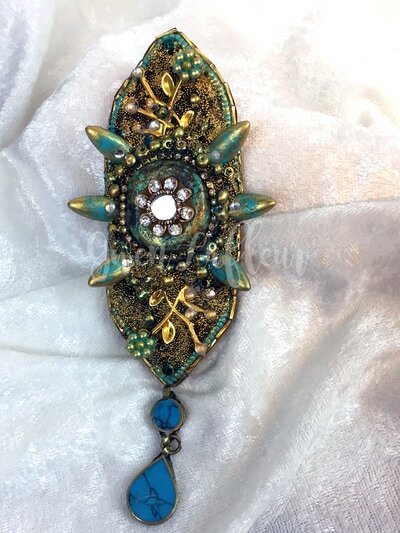 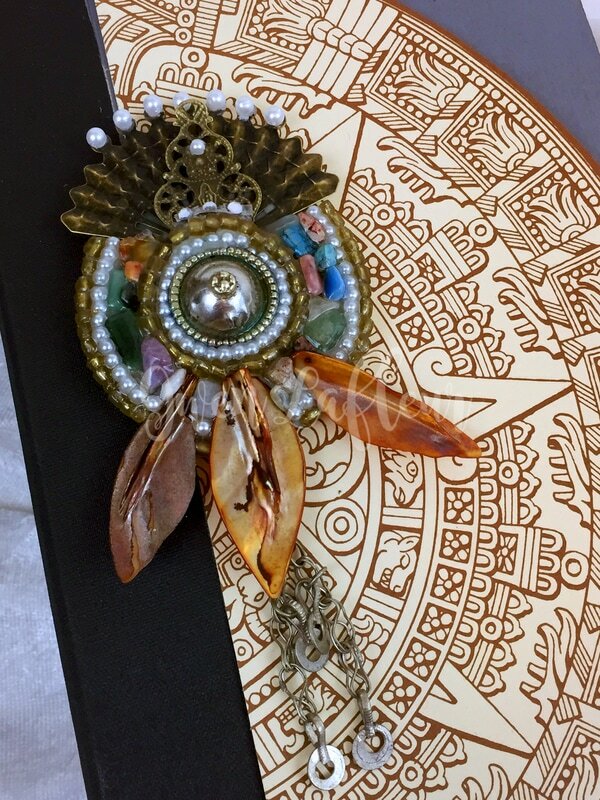 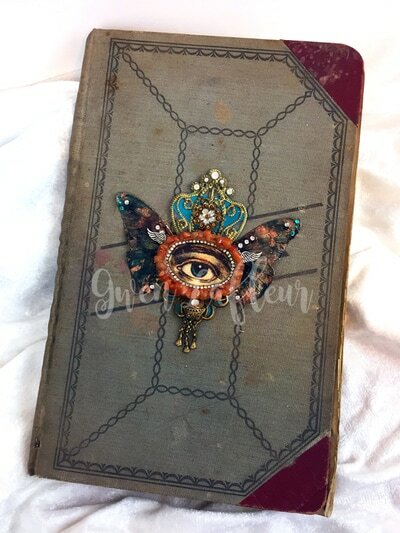 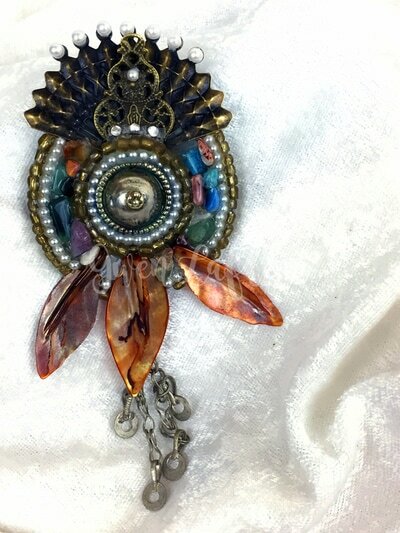 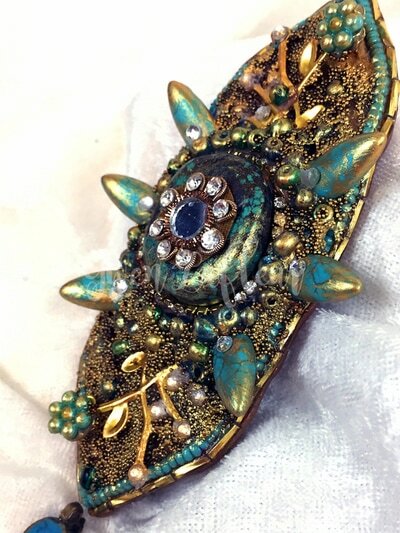 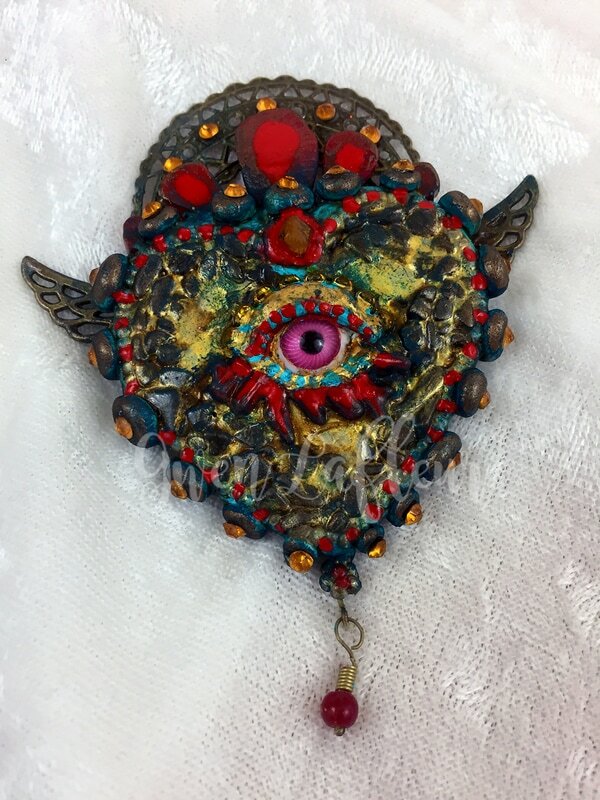 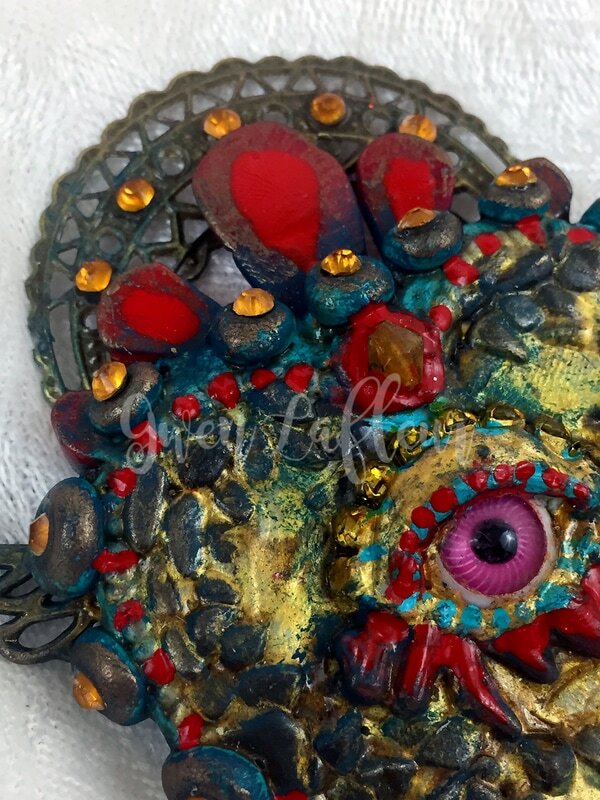 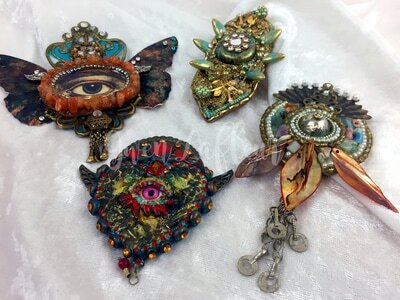 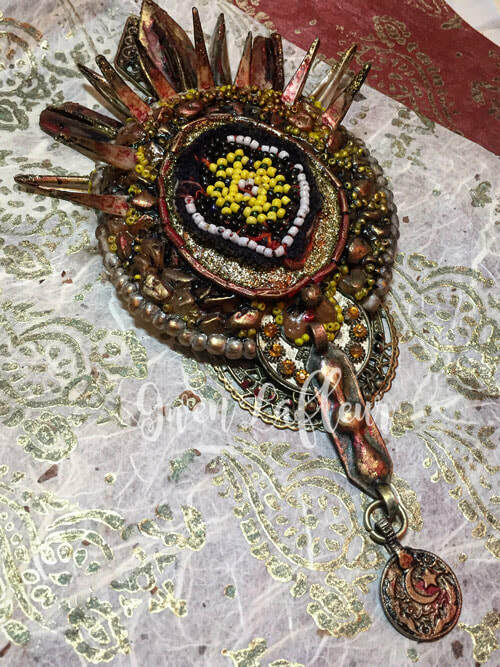 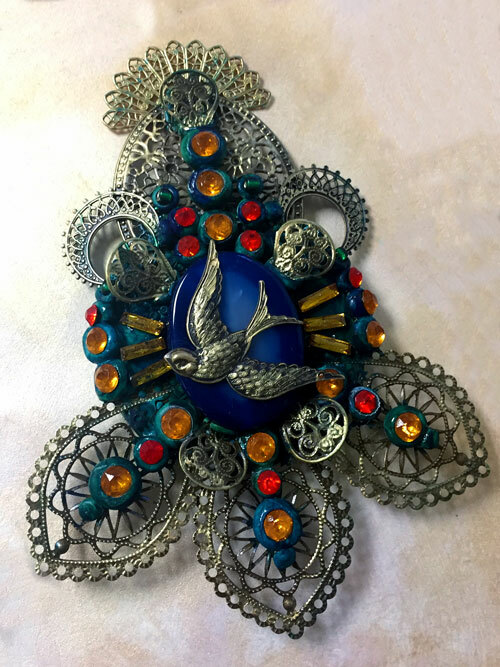 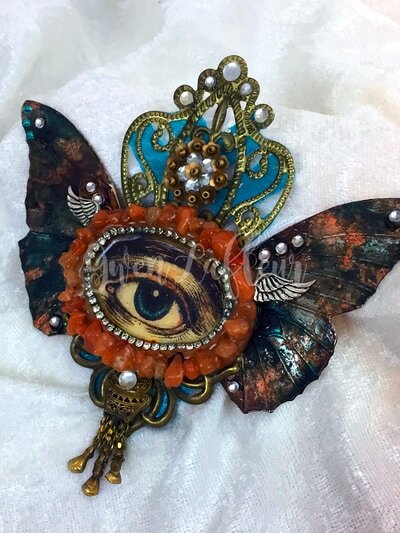 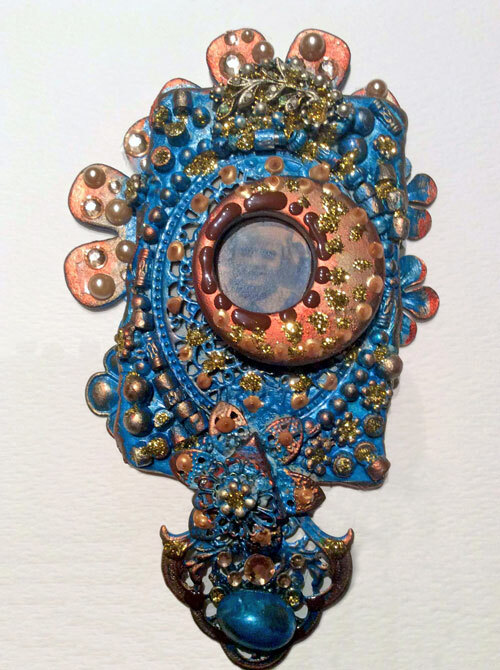 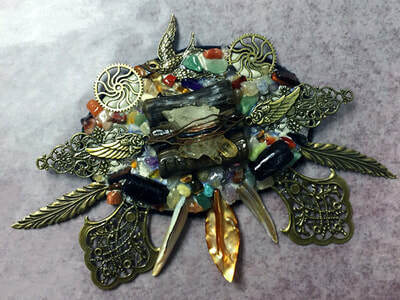 In this half-day class, we'll use clay, beads, metal findings, and more to make mini medallions that can be used as pendants on a statement necklace, as ornaments for a book cover, or as part of a larger mixed media piece. 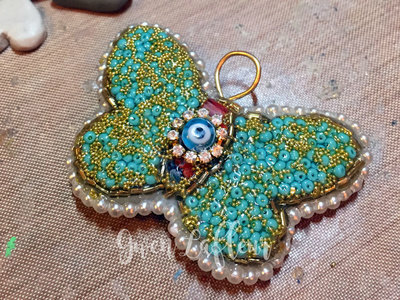 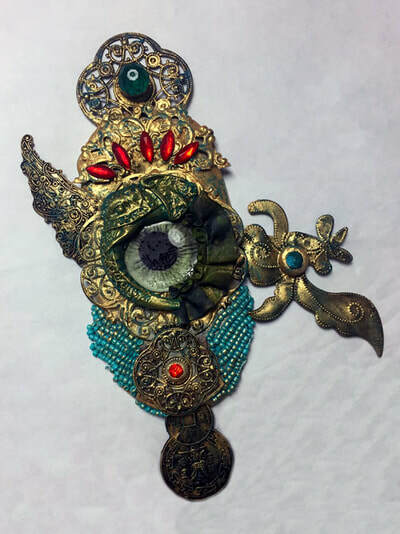 We'll make at least one medallion in class and I'll share different techniques for customizing your supplies to make them your own as we assemble our mini masterpieces. Look at the fabulous projects from the talented students who have joined me in this workshop! I'm amazed at what they did in just three hours!